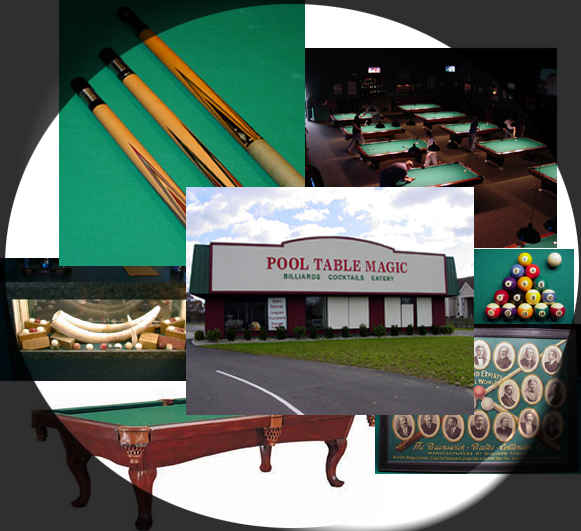 In the main room we have 11 of the nicest 9 foot Brunswick Gold Crown tables in the area. Regualtion pockets, felt is always kept in premium condition and the tables are well lit. In our private room we have two vintage Brunswick Anniversary tables. Always a pleasant atmosphere, internet jukebox, and table service for food and drink.